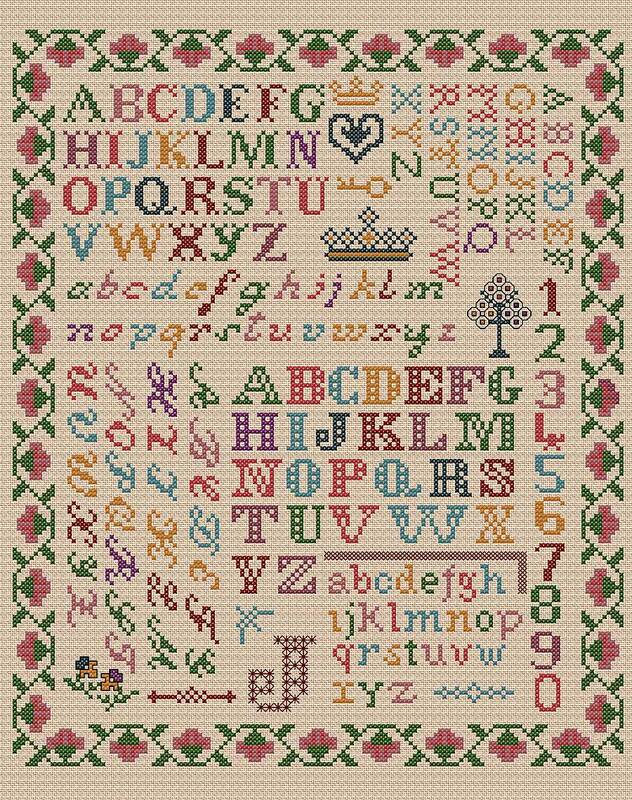 I make no excuses for yet another alphabet sampler - I just love them! The design is counted on to linen or Aida fabric and there are no fractional stitches. I have added a few double cross stitches, worked over four fabric threads to add interest. The downloadable charts include all the instructions for additional stitches.